It is an established fact that property prices around any city or town in a developing country will always be increasing. Industrial and commercial activities attract people to the urban areas in large numbers. The rising demand for commercial and residential land causes the cities to swell upwards through multi-storied buildings, and outward through the development of sub-urban areas. This observable fact is evident in all urban areas around the globe. Property prices are bound to increase along with economic progress. But the rate of increase can vary considerably from one place to another. Persons who are considering fixed, short term or long term investments in urban and sub-urban areas should make a detailed study of the causes for existing prices in the particular area they have in mind. 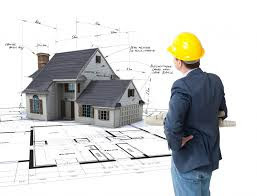 Speculative investments may trigger a sharp increase in prices though there are no specific reasons to warrant the rate of increase.A general guideline that can be applied to assess whether a specific rise in real estate prices at a specific place is warranted or not, is to check the proportionate rise in demand for industrial, commercial and residential areas around that place. Looked among the largest growing cities in the world, Bangalore city has seen a sharp increase in property prices over the past couple of decades. The industrial development of the suburbs has led to the rise of a large number of affluent businessmen, professionals and upper middle class in the city, the majority of them not local residents. The rapid development of the information technology (IT) sector is mainly credited for the high rate of increase in property prices over the recent years, but the real expansion started during the 1970s with the development of huge industrial areas beyond the suburbs of the city. This gave rise to increased demand for commercial space in the central business district of the city. The surrounding residential areas were encroached into and this resulted in the outward expansion of the city. Locations that were once considered far outside the city limits have now become fashionable & lucrative residential areas. The success and expansion of the IT industry increased the demand for commercial and residential space within the old city area, and this led to the upward expansion of Bangalore through high rise structures, and the process is still going on. To ensure that the land is available at reasonable rates for a healthy development of the city, the state government is taking procedures to check further congestion within the old city limits, while at the same time providing infrastructure for proper development in the outskirts. Zoning restrictions have been implemented to thwart haphazard development. Strict action is being taken to curtail the nefarious activities of unscrupulous real estate dealers, who produce forged title deeds and other documents to fraudulently sell property that belongs to others. Even there have been many cases cropping up wherein government lands were illegally disposed of in this manner. While genuine property developers are encouraged, speculators have been restrained from indiscriminately raising property prices. The government policy is to ensure that property, whether built up or as land, is available at reasonable rates. Another major development is the approval of the Central cabinet for the proposed Bangalore Metro Rail Corporation Limited (BMRCL) which is planned to cover 33kms in two corridors. For completing any work identifying with House, we should specific, in picking an ideal individual for the right employment. Actually, parcel of hugeness should be given for selecting the correct individual for doing the work on 'contract'. Maybe it will rely on upon the nature of the work and the last result, would to a great extent rely on upon such choice. While selecting, one must constantly mull over different viewpoints about the temporary worker, including the notoriety and the involvement in the given field, redesigning of the information to the present needs and inclines additionally required to get by in the current focused world. Probably most importantly, trustworthiness in the work pays and it just make the contractual worker prominent among both the representatives and the proprietors. Truth be told, toward the starting, it is extremely hard to pick the opportune individual to complete the work. In this association, we propose a couple variables which may helpful, in picking an opportune individual for the right occupation. It is unnecessary to underscore that in the wake of spending tremendous part of cash in completing the works, we ought not apologize, if the same has not been completed or not finished, by taste and/or if anything has happened bringing about either evaluation of certain structure or changing of example. When you hunt down an authority for a specific administration it is important to screen his past execution and the reputation on the specific administration. The record ought to incorporate the time allotment he is taking to finish a specific errand and his aptitudes in the field. On the off chance that fundamental we have to request the past clients contact points of interest to settle on the choice right one. He ought to have the capacity to tweak our thoughts on the work. While redoing the given expense of target ought not be ignored and he ought to have the capacity to tell the general expense of the administration before accepting the employment. Furthermore, especially the time span ought to be unmistakably said before he begins the occupation. On the off chance that it is not completed at the stipulated time the cost overheads will go past our financial plan and it can be said as botch. He ought to have the capacity to give the work quality materials and in the event that where are we giving the materials the wastage ought to be minimized to the most minimal levels. The completing ought to be great standard just. The contractual worker ought to be free from any court cases and other lawful matters. Grants and capabilities to be checked to carry out the employment successfully. In the event that anybody does the electrical work without legitimate confirmation from the powers, then the powers might dismiss the permit or pay on the work if anything turns out badly. The work must be finished with his experience and the proprietors thoughts are to be actualized with no deviation. Also, a legitimate assertion must be made to take the necessary steps and it needs to contain the work points of interest and the time allotment and the nature of the materials. Just with the consolidated endeavors the work would be done as per the general inclination of the proprietor and the quality relies on upon the contractual worker's experience. On doing the administration or work it is important to have the capacity to handle the issues emerging on the specialized some portion of the administration. Area is that the most huge aspect before the decision of a property. There shouldn't be a city region close, a range of love associated with the property or a channel line helpful. The point of looking for a property decides the circumstance. It ought to be for self-occupation as a house or for speculation reason. If there should be an occurrence of house/level for own occupation, a private neighborhood in a matter of seconds detached from the guts of town is attractive. Constantly pick endorsed designs by pertinent powers that alter an individual to ask every one of the offices at interims the format. While picking a merchant/promoter, you might want to appear into his diary. Just as you must select a dependable area merchant to locate a satisfactory space for the property. 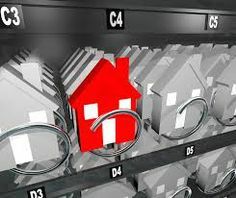 On the off chance that anybody offers property at a less costly rate as against the overarching market rate, then its best, since it ought to connect with beyond any doubt concealed issues, that are difficult to follow. The region should have very much created streets, keen channel and along these lines the community workers should do the trash freedom as often as possible. The Low-lying zones should be dodged as they get immersed all through rainstorm. The nearness and availability to figure place, schools, commercial center, doctor's facilities, railroad, mentor station and recreational focuses is essential. The area should have sufficient managing an account office. Recurrence of open movement, distinctive methods of transport, handiness of open phone stalls and so on., got the chance to be investigated. An area that is way|shortly detached from the in vogue offices and foundation and all things considered sufficiently far to dodge the contamination of town, is attractive. Like a region settled by tight, instructed and enlightened people of cosmopolitan viewpoint. Ensure that the domain isn't home to hostile to social parts. There shouldn't be any assembling plant or workshop especially those that include night shifts, inside of the quick neighborhood. This winds up in sound contamination and restless evenings beside touching the standard of the capacity give. The domain should have normal give of consumable water, power give and brilliant well water table for bore well. Offices like open park/garden for strolls are worth considering. The circumstance of a sanctuary, spot of love or church and profound foundations that sort out standard talks amid this time of anxiety and strain, may be an appreciated issue. 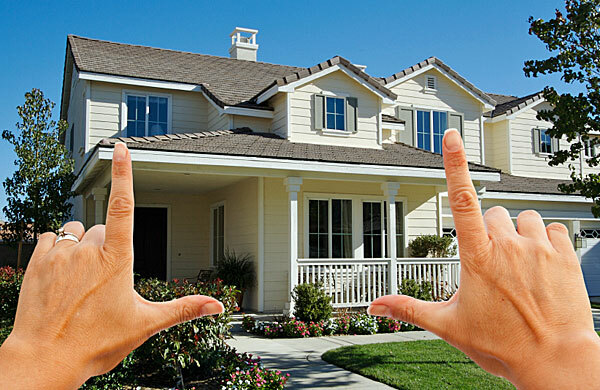 Beside the on top of, the size of the plot to fit your financial plan and subsequently the admissible so much (Floor territory Ratio) is imperative. Vaastu is of individual inclination. In the event that the procurement is for venture reason, the likelihood of offering is that the vital issue. A creating space is attractive to a created soaked space. The interest in creating space is moderately low and worth thankfulness is extra. Non-accessibility of parking area and activity limitations adverse affects the value of the property. Availability to the railroad/transport stations, air terminal, star inns and handiness of framework offices assume a vital part. You require a law mode at the top of the priority list bound parameters though picking a lender thus accept a call subsequently. It's really troublesome to actuate the best in everything about ensuing parameters thus some sort of bargain must be done on the reason of your needs. 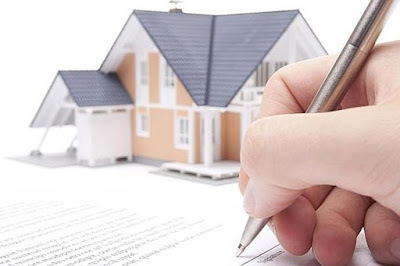 Regardless of whether the lender is giving an advance item to fit your necessities. Regardless of whether the agent is giving the residency of advance that you simply are hunting down. This could rely on the sort of Rate of interest that you simply are hunting down i.e. mounted or variable rates of hobby. You need to ceaselessly look at the viable rate when taking under thought every immediate charge and so on furthermore the way of interest estimation. i.e. month to month lessening, yearly decreasing and so forth. The base advance amount offered by an agent is indispensable to search out if the lender will back the amount you're looking for. Most HFIs have a higher breaking point on the amount that they'd money. In case you're hunting down a truly gigantic sum, this may be a component that must be considered. you'll must be constrained to consider this issue to discover in the event that you coordinate into the age standards orchestrated around the HFI. This could moreover kind a parameter in your approach choosing a HFI to back the procurement of your home. the most extreme credit that you just would get as respects the value of your home must be looked at. THE parts of the value would even be crucial. The monetary profit standards of the HFI are a pertinent parameter that will affect your call. Some HFIs execute a private Guarantor. You might want to analyze this out in the event that you have any reservations in regards to giving a warrantor. If you plan to look for your home close by a co-proprietor, you'll must be constrained to check regardless of whether the HFI acknowledges the association in the middle of you furthermore the co-proprietor. As specified for co-proprietors, the HFI can likewise execute exclusively bound connections as association your application as a co-candidate. This must be checked while choosing a lender. Some HFIs charge bound defrayment charges once you mastermind to pay your credit either mostly or completely. HFIs charge bound expenses as procedure charges that you simply can must be constrained to pay at the season of accommodation of utilization. As specified on top of, HFIs also charge body expenses on the credit amount that has been endorsed by the HFI. This could shift from one HFI to an alternate. the sort of credit reports that HFIs execute before affirming your advance would contradict from one HFI to an alternate. If you're looking for a property on resale, this parameter would be an essential one as HFIs may have a point of confinement on the age of the property at the season of dispensing the credit. Most HFls have a pre-affirmed rundown of properties open that the documentation would be less demanding. HFIs may have extraordinary rate in case you're a laborer of 1 of its most very much preferred rundown of businesses. HFIs can likewise have totally distinctive standards of documentation in case you're looking for a property in any of their pre-endorsed rundown of developers. HFIs, as specified on top of for manufacturers, can likewise have separate plans absolutely comes. HFIs may have bound plans to suit clients of bound callings. The aforementioned territory unit some of the parameters that you simply can must be constrained to consider before choosing your lender. Getting a lender who might give you the best on the whole of the above parameters is about impractical. You would, thusly, must be constrained to decide your needs and determine the status of that lender would furnish you with the best probability. Each building has its ordinary life. Its life is reached out by some more years via completing certain repairs. It is however hazardous to proceed in control of the building which has run its life. A Co-agent lodging society has along these lines to reproduce the building after it has run its life. As it might be troublesome for any co-agent lodging society to raise the assets for reproducing the building from its individuals in a short spell of time, it gets to be important to set up a Sinking Fund right from the beginning of society. A procurement has, in this manner, been made in the bye-laws, empowering a co-agent lodging society to gather commitment towards this asset from its individuals at an altered rate for every month. The rate settled under the bye-laws is ¼ per penny per annum of the expense (b) A level incorporates a godown, showroom shop or a carport. It might be noticed that the commitments at the rate said above are to be gathered just on the expense of development and the estimation of the area incorporated into the expense of development must be barred. A building sinks in course of time because of its wear and tear yet the area stays as it is regardless of the possibility that the building breakdown. The sum in the sinking asset is required to be used when the recreation of the building is expected. This is a long stretch. Amid this period the commitment got from individuals by a general public ought to stand contributed on long haul premise so that such a venture will get generous come back to the general public. According to Bye-law No.15 and Section 70 of M.C.S.Act. 1960. Notwithstanding, the social orders which have not embraced the new procurement, in regards to venture of sinking asset commitment on long haul premise, need not put off the inquiries of the said bye-law in light of the fact that it is to their greatest advantage to guarantee that the commitments are gotten from individuals towards sinking asset on long haul premise every once in a while. It is conveyed to the notification of the Co-agent lodging social orders that in the event that they continue contributing just the commitment from individuals towards sinking asset at the rate of ¼ per penny per annum of the expense of development of the pads and use the premium earned on such interests in their organizations, the aggregate sum to the production of sinking asset won't be adequate to meet the expense of remaking of the building just if the sinking asset is contributed on long haul premise, alongside the premium earned on such speculation. A co-agent lodging society can put its asset in the State Co-agent Bank i.e., the Maharashtra State Co-agent Bank Ltd., Bombay or the area Co-agent Bank i.e., the Bombay District Central Co-agent Bank Ltd., of the securities determined under segment 20 of Indian Trusts Act. Despite the fact that the Registrar can allow Co-operation. Lodging Societies to put their assets in the National banks or other business banks or the Urban Co-agent Banks. This office is given just to facilitate everyday managing an account exchanges. A long haul venture has, along these lines to be made by Co-agent Housing Societies with both of the two banks named previously. All Co-agent Housing Societies ought to along these lines, take note of that they need to contribute their sinking asset accumulation is one of the above two banks. So far as securities under segment 20 of the Indian Trustees Act are concerned, the rundown of the securities in which Co-agent lodging can put their sinking asset is distributed in the new bye-law. Testamentary Document or a testament means a document made by a person whereby he disposes of his property but unlike a disposal inter vivo, it is unilateral and comes into effect on his death, and therefore, the document comes into effect on the death of the testator only. A WILL or testament is defined as a ‘declaration, made in accordance with the formalities required by statute, of the intention of the person making it with regard to the matters which he wishes to take effect upon or after his death. Until then, it is an inchoate or ambulatory document which can be revoked, modified or substituted by another such document. ‘WILL’ is defined in Section 2 (1) of the Indian Succession Act, 1925 as the ‘legal declaration of the intention of a testator with respect to his property which he desires to be carried into effect after his death’. A will must deal with the intention of the testator as to how his property is to be dealt after his death. If such an intention is disclosed and the property is also dealt with, it is a will, but not otherwise, by whatever name it is called, and provided it is executed as required by the Law. (3) Clause appointing executors, and trustees. Supreme Court of Judicature(Consolidation) Act, 1925. But as far as possible the number of executors should not exceed three. (b) the second containing residuarybequest. (7 Date of the will can be given in the beginning or at the end, the latter being the standard practice. So far as Muslims are concerned, the provisions of Part VI of the Succession Act, containing Sections57 to 191 and which deal with execution of a will, the construction of the provisions of a will and the different types of legacies do not apply to Muslims in India. 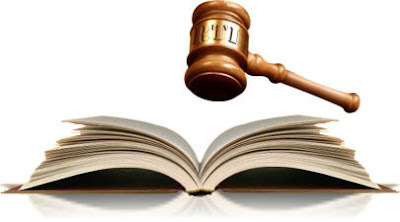 Sections 211 and 212 of Part VI of the Succession Act also do not apply to Muslims in India. Therefore, so far as matters such as power to make a will, nature of the will, execution and attestation thereof etc., are concerned, the Muslims in India are governed by the Muslim Personal Law. Under that Law, a Muslim can make a WILL orally or in writing and no form is required for such writing. If the Will is in writing it need not be attested. A person who is a major and of sound mind can make a will and he can dispose of his all or any part of his property by will. (iv) where the only heir is the husband or the wife and the bequest of such excess does not affect his or her share. Any legacy bequeathed in such excess will abate according to the rules of the Law.A Muslim may change his will during his life time or cancel his legacy.A will may also become void if the testator, after making the will, becomes of unsound mind and continues to be so till his death.Similarly, a bequest which is contingent, or conditional or in future or is alternative would be void.